OK I know November isn't exactly the time you think about hanging bunting outside but it's a dry day and the lighting is so much better for taking photos than inside and it certainly brightens up Miss M and Miss E's garden house / shop / cafe. 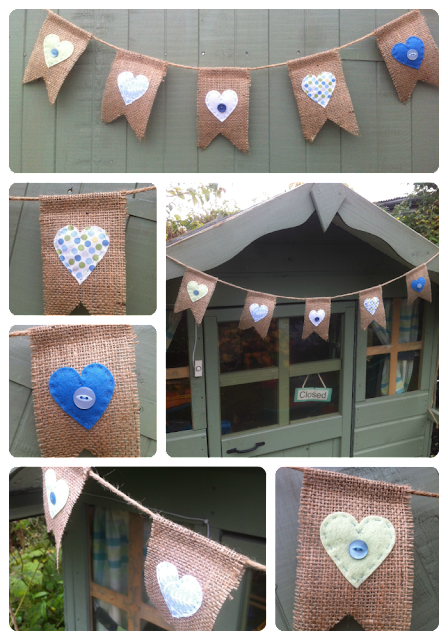 The bunting is part of my Winter 2012 Collection and combines lovely natural rustic hessian with soft felt and gentle patterned fabrics mounted on garden twine. The flags can move along the twine so you can adjust the spacing to suit your needs. 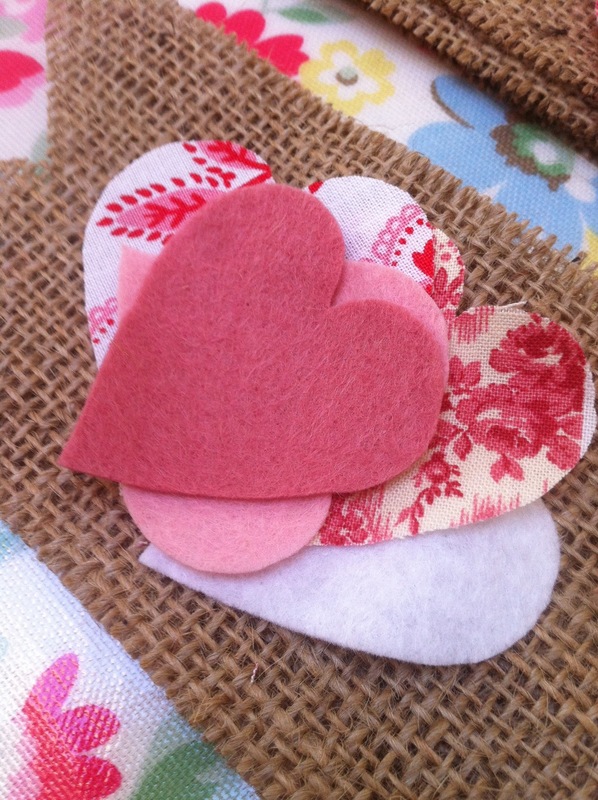 The bunting is the perfect length for a single bed or a mantle piece. It comes in romantic rosey pinks as well.